The 5 Types of Empaths...Which One Are You? The 5 Types of Empaths…Which One Are You? You may have heard of the term ’empath’ before, and essentially, it means a being in tune with people’s emotions and feelings, so much so that the energy from them can affect the empath negatively. Empaths have high sensitivity, and want the best for everyone they meet. Some people feel as though they can open up and tell their entire life story to an empath, probably due to their kind and caring nature. However, empaths bring very important gifts and lessons into the world. An empath shows us that taking time to emotionally connect with someone else can change a person’s life. Empaths teach us to take time for ourselves, and nurture our creative spirits. Empaths also represent those who won’t conform to a cruel world, no matter how tempting or easy this might seem. These types are usually old souls who have come here plenty of times before, and who have great wisdom to share. Empaths sometimes suffer from low self-esteem or social anxiety due to the magnitude at which they feel other’s emotions. 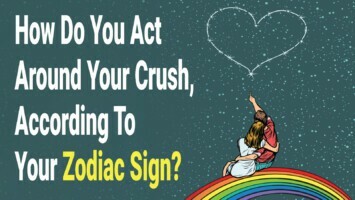 However, once they accept their gifts and make a promise to love themselves no matter what others might say, then others can benefit from their healing nature. Empathy helps one to see the world in a more compassionate way, so much so that some empaths claim to talk to angels or spirit guides often. 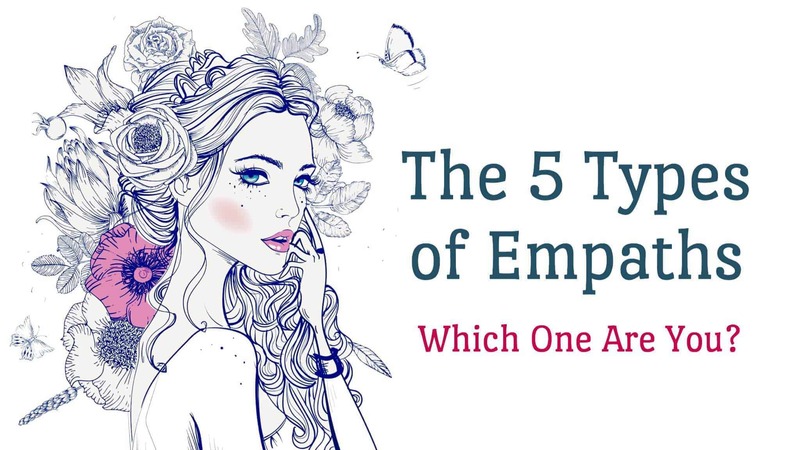 However, did you know that five types of empathy exist? If you identify as an empath, read on to figure out which of these five skills describes you best. This type of empathy is perhaps the most common on the list. Emotional empathy happens when you feel another person’s emotions so deeply that you take them on yourself. In other words, you can easily put yourself in another’s shoes, and identify with their struggles and pain. Many empaths feel overwhelmed by this ability, however, as they can feel the energy of a room as soon as they walk into it. If this sounds confusing, think of it this way. When someone you’re close to gets very sick, do you immediately feel worse yourself? If so, you may have medical empathy. Medical empaths take on the ailments and sicknesses of someone else, even if they are miles apart. Empaths naturally take on other people’s energy, especially those they’re close to. If someone they love gets very ill, they may become sick themselves due to how much they care for them. Their loved one’s pain is their pain, too. On another note, a medical empath may also have the ability to spot an illness within another person, simply by using intuition. This empathy, as you would imagine, occurs in different places or locations on the planet. For example, maybe you feel particularly drawn to a certain place overseas, and imagine yourself living there happily. Or, maybe when you go into the local mall, you immediately want to leave. Certain places trigger emotions within us, and these types of empaths feel it even more deeply than others. They can feel out a place within moments, and figure out if it’s in their best interest to stay there or not. These types of empaths excel at understanding how people’s minds work. They can easily understand someone’s perspective, and offer their own without getting into an argument. They can relate to multiple perspectives and ideas, and love keeping company of those who challenge them intellectually. You love to gain information from as many sources as possible, and continue learning in all facets of life. Environmental empaths feel what happens to the Earth on a very deep level. When Earth goes through extreme trauma and destruction, these empaths begin to break down and feel very negative emotions. They see the Earth and themselves as one, and just want to protect the planet and restore it to its natural order. Environmental empaths have a great relationship with nature, feeling called to it on a soul level. These people would love to spend most of their time in the woods or at a beautiful beach, away from the chaos and haste of the ‘real’ world.